Please, consider #Giving to your child’s school! As of today, about 75 families representing the 1,600 children enrolled have sent in donations. 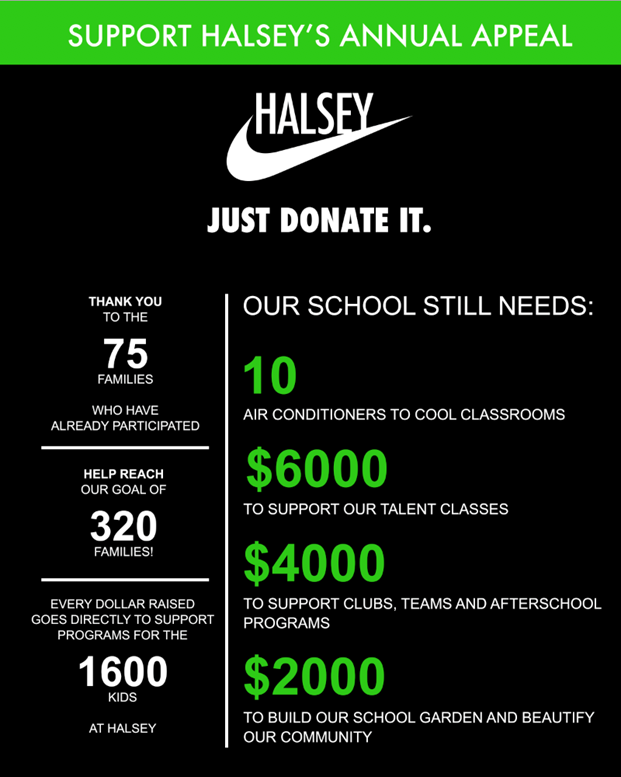 If only we could get more people to donate, even just a little, we could achieve our fundraising goal! It’s easy, just send in a check with your child with the voucher attached (halsey-pta-annual-appeal-letter-2017-18), or donate via PayPal or Credit Card by clicking on this link!